I'm looking for a new car for my wife. We are both 60 years old. I'm wanting to get a more than basic car for her. I've driven the Audi A6, BMW 535i, Lexus ES. My wife wasn't impressed with the ES at all. The BMW was nice but a little low to get in and out of and I'm concerned about BMW's reliability. The A6 was okay but I don't know very much about that brand. 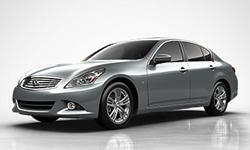 I plan on driving the Lexus GS and a Mercedes E class. What would your thoughts be of these cars? I would appreciate your suggestions and opinions. It sounds like she might have an easier time getting into and out of a crossover or at least a somewhat higher than average car. 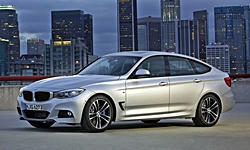 Among BMWs, I'd suggest the 3-Series GT. The driving position is lower than in a crossover but significantly higher than in a 5-series. It's a hatchback with an especially roomy rear seat. Very handy. 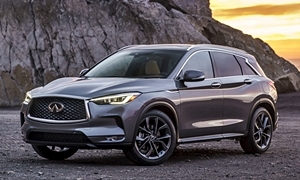 The Infiniti QX50 is an aging design, and somewhat tight inside, but received more rear legroom for 2016 thanks to a wheelbase extension and could be something she'd like. The 2015 (which some dealers might still have) had a tighter rear seat and rode an inch lower (I preferred the slightly lower ride height). 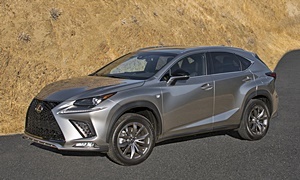 Among Lexus, possibly the new-for-2015 NX crossover rather than the GS. I'd like to recommend the Lincoln MKC, as I really enjoyed driving one for a week, but first-year reliability has been poor. Finally, the Volvo XC60 crossover is worth a look. Reliability is a little iffy, as model years before 2013 don't look good in our stats, but it was among my wife's favorites. Thank you for the suggestions. The BMW sounds interesting and I'll take a look and drive one. 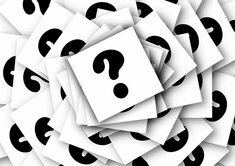 My wife has stated that she is not really interested in crossover SUV style and would prefer a sedan. I'm hoping that this weekend I can get her into a an E-Class and a GS from Lexus. Please spend your money on your upcoming retirement, your children/grandchildren or making a difference in the world but NOT on overhyped cars that have you spending your life running to and from the mechanic shop. Honda/Acura and Toyota/Lexus average less than 10 repairs per 100 cars/year over the course of the first seven years (most years 7-8 reapirs). The Lexus ES is the equivalent of the Camry so it wont feel like a high end luxury car but neither will the base Audi, Cadiallac or Lincoln, etc! However I dont think she will be real impressed with running to the stealership on a regular basis as you will more likely find yourself doing with the Euro cars. European cars average OVER 20 repairs per 100 cars/year (as well as Dodge/Chrysler products). The Euro cars will have you paying much more per repair as well. Audi is basically the luxury arm of Volkswagen which has one of the worst repair records of all major manuafacturers. Ford/Lincoln, GM/Cadillac and Nissan/Infinity average in the mid-teens. I started repairing cars 30 years ago and have not taken any of my own vehicles to a shop in 25 years (including a Prius hybrid traction battery rebuild). I have helped many friends and acquaintances' fix their cars over the years and my experience correlates with the stats above. There will be individual cars within a Manufacture line up that will buck the trend (Mercedes e300 series has fewer repairs) but if you average ALL cars made by a manufacturer, the trends hold true. One of the Mercedes SUV's a couple years ago had more repairs in its first year than the Lexus flagship had in its first 9 years! Folks tend to get brand dedicated, I just enjoy the idea of not spending my life worring about car repairs. Not sure if you've done anything or not at this point but remember new BMW's come with 4 year/50,000 mile SERVICE included. We took a MB in for its first oil change and cost was well over $300. 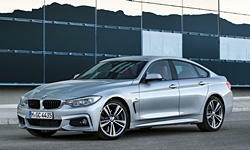 BMW includes all maintenance cost the first 4 years or 50,000 and the drive is amazing. 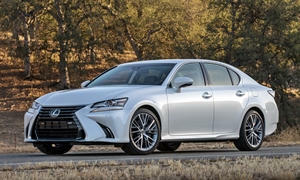 A lexus is a toyota with nicer knobs and leather - thats all luxury means (touch and feel) but a car that is safe (BMW's are 50/50 weighted - huge for safety) they drive like a dream. If you plan on keeping it for the duration of its life, then maintenance will become an issue later on. Audi's are fun to drive as well, built using parts interchangeable with VW's but they're going to sit low as well. The BMW 4 series Grand Coupe is a really nice 4 door coupe you might like but just realized it's a tight 5 seater, fits 4 nicely. I also agree with another on the 3 series GT, it has a different rear end that some don't like but I like it personally. The room in the back seats is better than the regular sedans. We've been very pleased with the Honda brand. We still have a 99 Odyssey that we bought new, 05 Civic that was purchase new that our youngest daughter is still driving and a used 06 Ridgeline that I drive. We've had great luck with the Honda brand but was not very impressed with the 2016 Accord we drove last week. I realize I'm not really comparing apples to apples when driving the other car brands I mentioned. We drove several cars yesterday that were used but with better prices than the new ones we've driven. I'm sure the depreciation is significant after they roll off of the dealers lots. 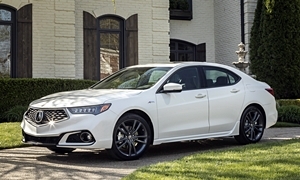 We also drove a new Acura TLX that was very comfortable and it may have made it to the short list. The information screen on that car seemed to be a little easier to maneuver in. It was also the only one that incorporated a touch screen as I recall. We're still considering our options with both new and used. I would prefer a used one, maybe coming of of a lease with low milage. It really comes down to what my wife wants and feels comfortable driving. Her main considerations, like most ladies, is how it looks and the color. According to her, It has to be black on black with heated seats. Thanks for taking time to share your opinions. We have not made a purchase as of yet. We've driven a 2016 certified pre-owned Mercedes E350 that seems to be what my wife is leaning toward. She has driven another Lexus GS but it hasn't made a positive impresssion on her. More of the look and interior than anything. We've been busy with work and travling so we really have not spent very much time getting out to the car dealers. We're not stuck on the MB brand but for the price on the car and the extended warranty that comes with the CPO, it seems to be at the top of our list right now. 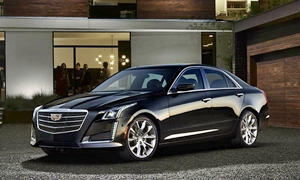 Cadillac CTS too. The 2.0T or the 3.6l engines will change the car.